This is Russian postwar reproduction of the famous WW2 Mosin Nagant 91/30 PU scope mount with base. 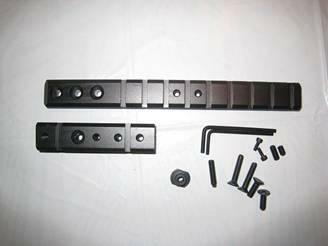 This kit includes steel mount, steel side base with all screws, pins and even correct 6MX0.75 drill bit and tap kit. PU mount with regular base (2 main screws holes, 2 locking screws holes, 2 pin holes and drill/tap kit) $119 shipped to 50 states in USA. PU mount with undrilled base, no screws holes or pin holes. If you have an ex-sniper with uncommon hole spacing, this item is for you. Having trouble centering the reticle in your old PU/SVT scope? Here is the solution. 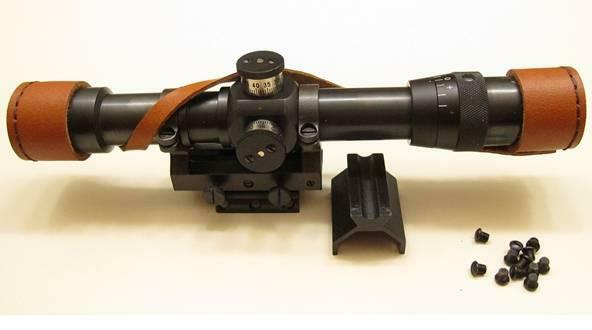 This reproduction PU/SVT scope has multi-coated lens, and made with modern technology. It has a German style 3-post reticle. The reticle is always centered and the entire field of view moves for easy sight-in purposes. This scope can be easily reset to zero by loosening two screws on the windage/elevation turret. Made of blued steel, the tube has a diameter of 26.5mm. 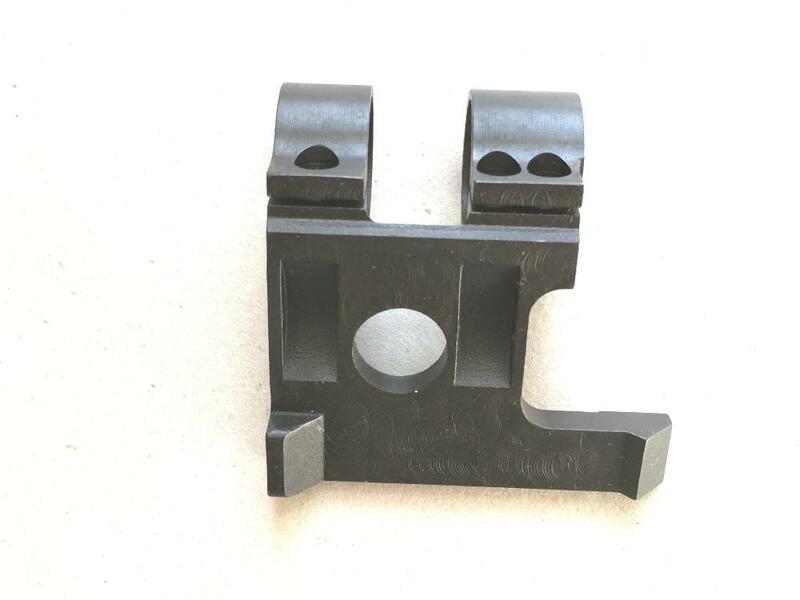 It will fit SVT-38 or SVT-40 mount as well as PU mount. We have scopes marked 1941, 1942 and 1943 to choose from. PU combo which includes steel repro PU mount, steel PU base, all scews, pins, drill/tap kit and PU scope with leather lens cap. Canvas cover is NOT included, but can be ordered separately. Brand new 100% Machined all steel PU mount. This one matches Century's aluminum mount. This is Russian postwar reproduction of the famous WW2 Mosin Nagant91/30 PU scope mount with base. This kit includes steel scope mount, steel side base with all screws, pins and even correct drill bit and tapkit (6MX0.75). If you have an ex-sniper with exiting holes, we carry 3 types of bases. The distance between centers on the screws is about 53.5mm. The distance between centers on the screws is about 53.5mm. There are no pin holes on the base, so you need to drill 2 pins holes yourself. The distance between centers on the screws is about 54.5mm. The distance between centers on the screws is about 55.5mm. 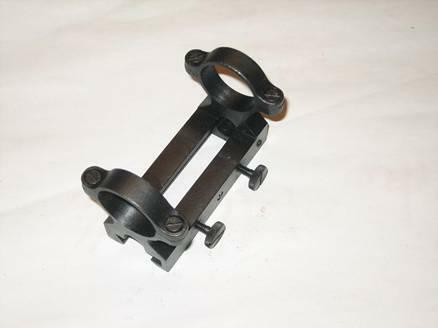 All steel PU mount with 1" split rings for Russian Mosin Nagant. 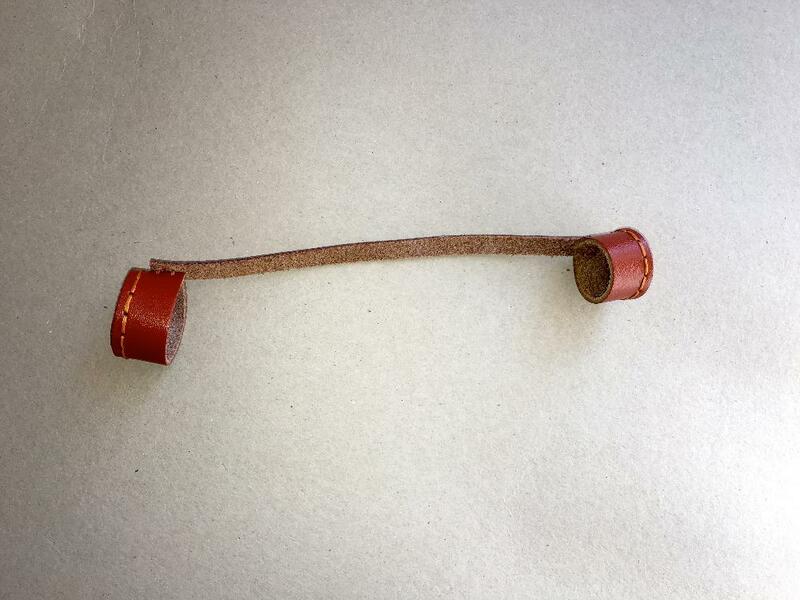 This PU mount is made to fit any original or repro PU base. You can easily fit this 1" PU mount on a PU sniper. You can put a high powered regular 1" scope on this PU mount to make a nice looking PU sniper without costing an arm and a leg. This item is for the mount only. No base, no screws or pins..
Includes 1" split ring PU mount with PU base and all screws, pins, drill/tap kit. Brand new 100% Machined all steel PU base. This one matches Century's aluminum mount. This is Russian postwar reproduction of the famous WW2 Mosin Nagant 91/30 PU base. This kit includes steel side base with all screws, pins and even correct 6MX0.75 drill bit and tap kit. 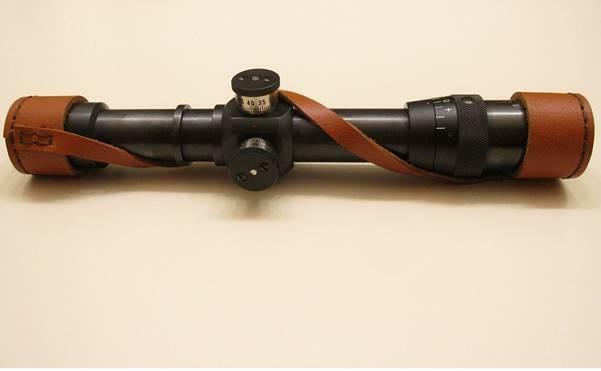 This reproduction PE scope has a multi-coated lens and is made with modern technology. It has German style 3-post reticle. The reticle is always centered and the entire field of view moves for easy sight-in purposes. This scope can be easily reset to zero by loosening two screws on the windage/elevation turret. 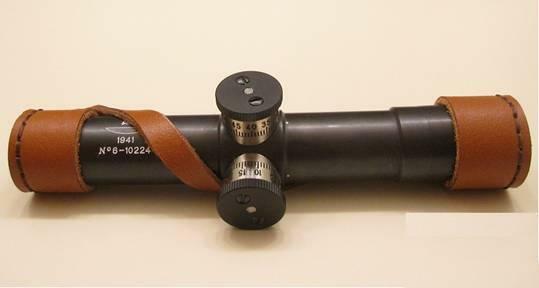 This PE scope is made of blued steel, the tube has a diameter of 27mm. 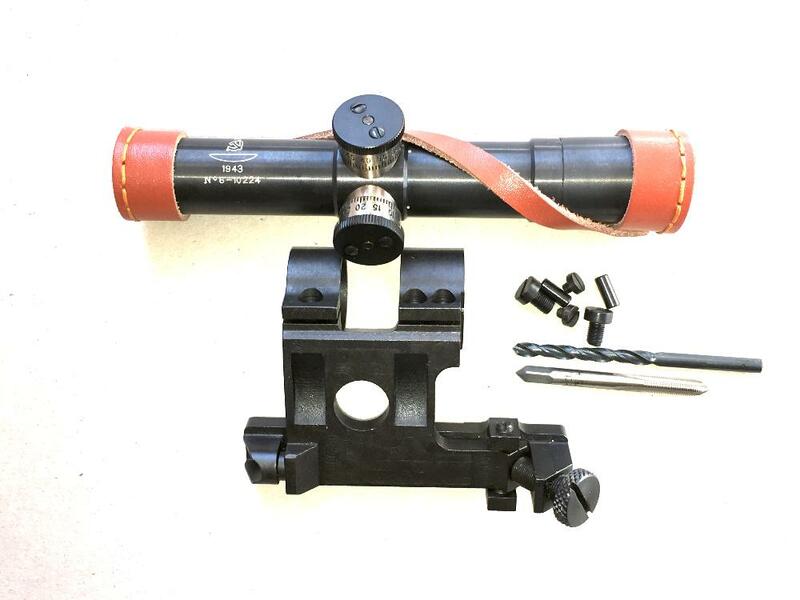 Includes PE scope, steel PE mount with one round base and one hex base, 6 screws and a free leather lens cape. See above description. We can engrave your S/N and date on the scope for an additional $20. Please email us your S/N and date. 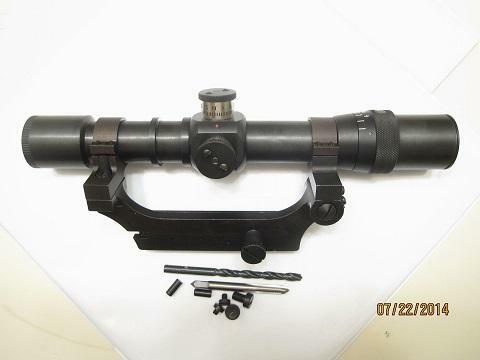 Russian postwar reproduction of the famous WW2 Mosin Nagant 91/30 PE scope mount with base to fit hexagonal receivers. 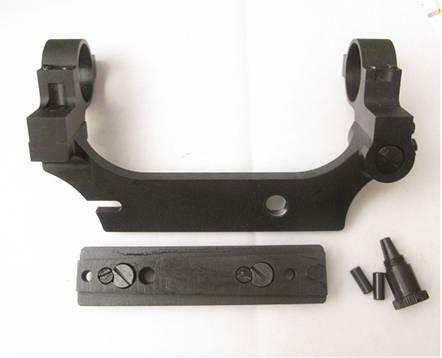 Includes steel scope mount, steel base for Hex receivers and six 5MX0.5 screws. Steel PE base only. Six 5MX0.5 screws are also included. 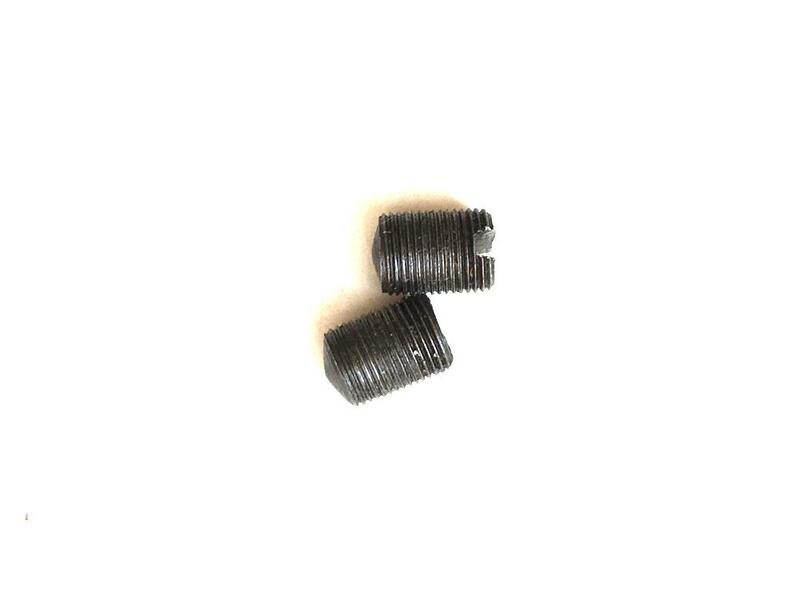 Two M6X0.5 mounting screws (if you need two M6X0.75 or M6X1 screws instead, please let us know), 2 locking screws, and 2 pins are also included. Repro sniper bent bolts made from the orignal straight bolt. Made to the same specs as that of the originals. Can engrave serial # free of charge. The picture is stocking picture. 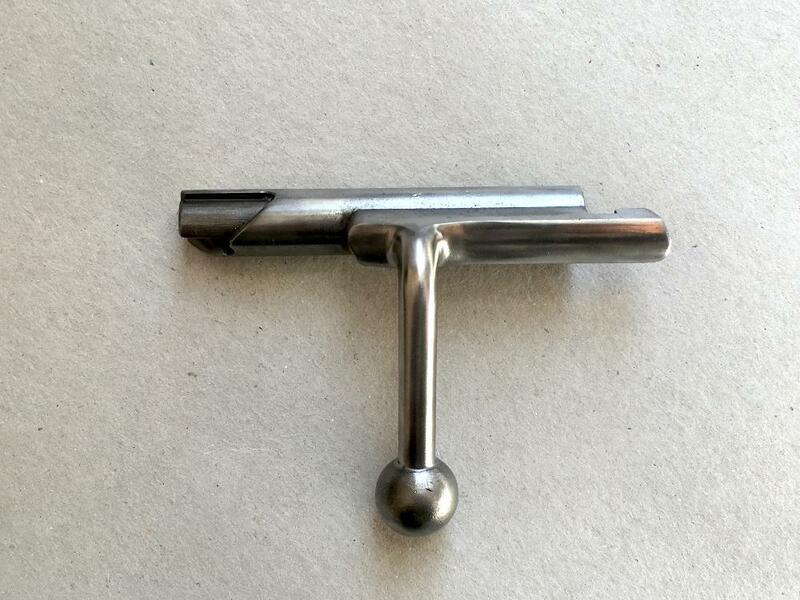 Bent bolt handle for Russian Mosin 91/30PU PE/PEM sniper bolt or any Mauser with straight bolt. 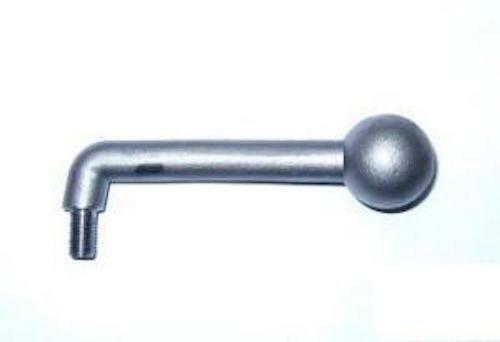 You can cut your straight bolt handle, screws or weld this handle to make your straight bolt to be a bent bolt. Matte finish, may need a little polish. The threads are M6X0.75 which are the same threads as PU sniper mounting screws. High quality Repro Canvas Cover for Russian Mosin Nagant 91/30 PU Sniper Scope. It also fits the SVT-40/38 sniper scope. It is made from military grade canvas and genuine leather. 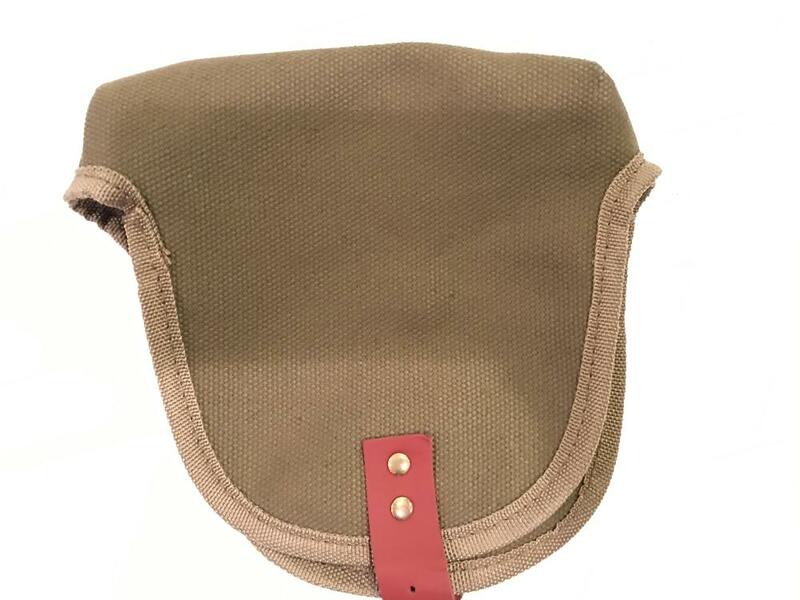 High quality repro canvas cover for Russian Mosin Nagant 91/30 PE/PEM sniper scope. It is made from military grade canvas. 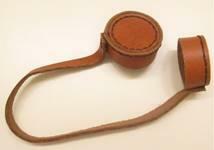 High quality lens cap for Russian Mosin Nagant 91/30 PE/PEM sniper scope. It is made from genuine leather. 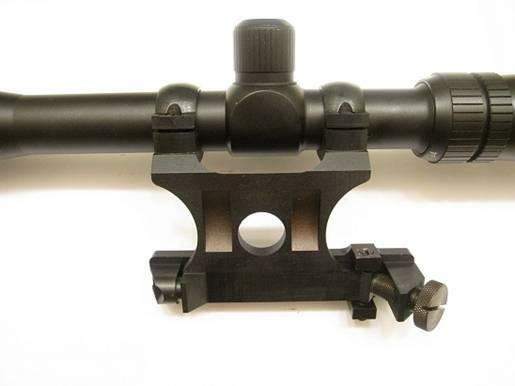 If regular scope is used, an ATI type of bent bolt is required, regular sniper bent bolt will not work with this dual mount. If a regular scope is used, an ATI type of bent bolt is required, regular sniper bent bolt will not work with this dual mount. Four machined steel 1" inserts that convert 26.5mm rings to 1" rings. Original Russian PU snipers use fine 6MX0.75 threads. This is the correct threads for PU sniper. Some recent repro PU snipers use coarse 6Mx1 threads. If you use 6Mx1 threads, please order M6X1 screws and drill/tap below. Some recent repro PU snipers use coarse 6Mx1 threads. If you use 6Mx1 threads, please order M6X1 screws and drill/tap here. Four machined steel 1" inserts that convert 27mm rings to 1" rings. Only includes six PE mounting screws. For thumb screws, see below.